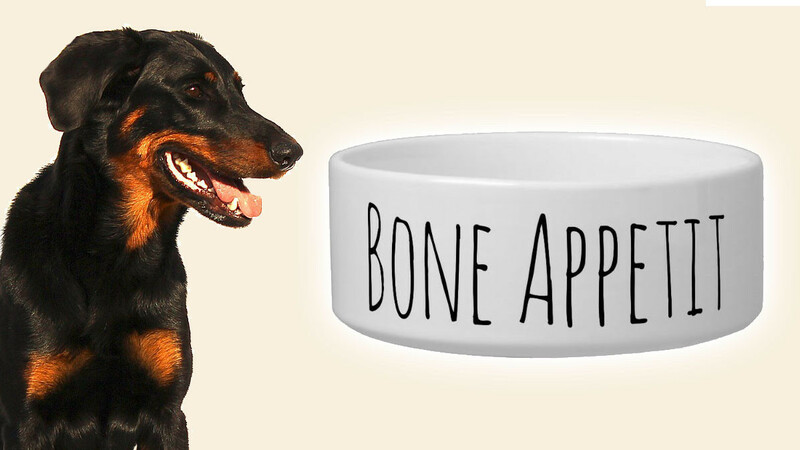 Your furry best friend is sure to feel like a million dollars when eating from this cute ceramic dog bowl. This is a cool idea for your own pet or a fun gift idea for any dog owner. Bon appetit is a French term that is a salutation to a person who is about to eat. It is a French term but it is also commonly used throughout English speaking countries. The bowl is available in either a medium or a large size.